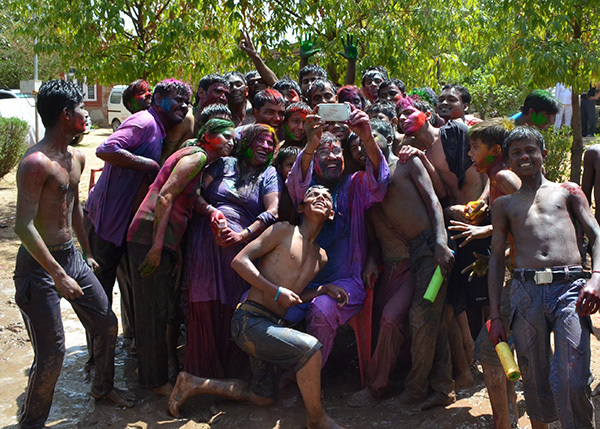 The festival of colour-Holi was celebrated at Bal Ashram with great joy and enthusiasm as it brings feeling of love and closeness among each other. The presence of prominent personalities comprising, Ambassador of Norway to India- Mr. Nils Ragnar Kamsvåg, , Ambassador of Taiwan to India- Mr. Tien Chung Kwang, Advisor to the President of Aveda- Mr. David Hircock, Mr. Kirk Smothers-Head of School- Delaware Valley Friends School, Pennsylvania, USA made the day even more special. Mrs. Sumedha Kailash- Director of Bal ashram & Mr. Kailash Satyarthi- Founder of Bachpan Bachao Andolan were also present there to celebrate Holi. Apart from this, 18 Students from Delaware Valley Friends School also visited the Ashram to celebrate Holi with children and to experience the Indian festival of colour. Colourful colours were spread out by the visitors and children over each other. Children were very excited and happy to interact and play Holi with distinguished visitors. 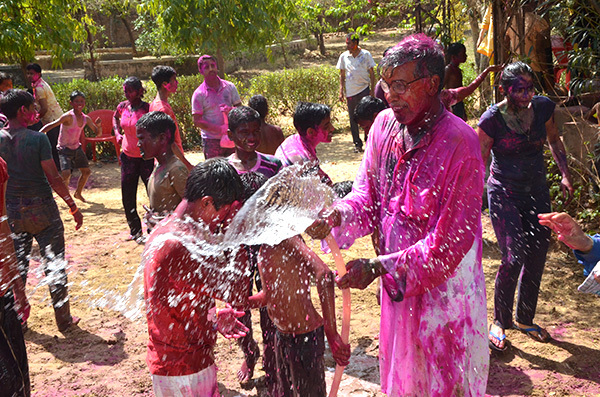 At Bal Ashram, Holi was rejoiced with a lot of fun. Special mud pits were also made. Children were getting drenched there and convincing others also to join them, making the day slight roguish. In the Evening, Bal ashram Children organized a cultural event. Children sang and danced and performed a Play on the subject- “Religious Harmony” to spread the message of respecting all religion and to love the fellow beings.